Here is the list of shows accross Canada that you can find me at this year! This fabulous show is back ! Can't wait to be back in Calgary for this show again! This was the first show that you could find me at in 2019! It was a celebration of from head to toe handmade! 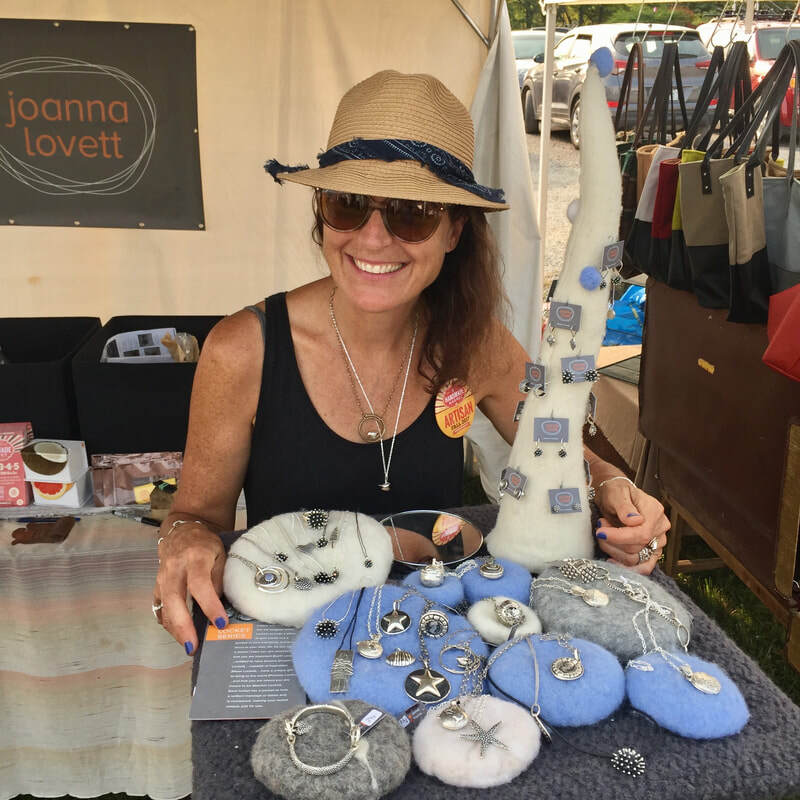 Thank you for the fabuous energy of Janna of Winterlux who is the founder of this show and to all the wonderful people who showed up to celebrate local handmade! I am already looking forward to being back again next spring. Click below to read the blog post that First Pick did about my work. The questions they asked really made me think about how I have come to doing the work that I do and what I love so much about doing it! Check out the posts on the other artists too! it was a fabulous show! So much happened in 2018! here are the shows you could have found me at last year! It was wonderful being back in Ottawa for the New Art Festival! Since my daughter moved to Ottawa I am finding out what an amazing energy this city has and I was super happy to be invited back again for this popular show. Held in the Glebe, it is a true celebration of art and the people who make it. This year I was there for BOTH fabulous weekends of Art, late night music and dancing while wallowing in the whole wonderfull beachieness of it all! Thank you to all who came out and to the hardworking organizers and Volunteers! This was a huge event for Vancouver! A world celebration of birds in all their dimentions! as well as my all of my work inspired by nature. All but one very pernickity orinthologist gave my interpretation of birds in my work a thumbs up, and even he laughed about it in the end :) A record number of Nut Hatch Earrings found ears to perch on! It was so fun to share stories with other Nuthatch lovers about this quirkey little bird we call peeper. The Fall Handmade Market - Niagara Wine country Ontario! We felt so welcomed back at the Fall Handmade Market again this year! My schedule only fits one of the wonderful Handmade Markets this year - but at least we had this one we could be part of! It was a wonderful warm Niagara weekend full of music, art and people that make this market so special! Loved being part of this Vancouver Holiday tradition in the Spectacular Vancouver Convention Centre West. Like so many shoppers I can not imagine starting the holiday season without it! It was wonderful to be invited to be part of the Calgary Art Market! It was like being part of one big supportive family of artists and shoppers! Here's a link to the live video taken by the Art Market team when they visited my studio! OUT of HAND MODERN MARKET! It will be our 5th year this is a welcoming show held in a handmade bee's Wax candle making barn! Old time Christmas event with goodies for all - harp music and fun! It was wonderful to cap off a fantastic year with being part of this fabulous collection of artists again to celebrate the Shiny! the Fuzzy! and the Muddy! Going strong since 2003! This photo is from the 2016 Shiny Fuzzy Show - it is a reminder of how wonderful it is to be part of the making community! So much happened in 2017 ! It was an eventful fun 2017!Looking forward to seeing lots of familiar friends again and meeting new ones again in 2018! It was another wonderful year of SFM! Vancouver- In the beautiful Heritage Hall! It was our biggest ever of our little show! This was my first Year in this Victoria favourite! - already looking forward to next year! ​show in the Vancouver Convention Centre West! I was happy to be part of this charitable fund raiser! The funds raised went to support ‘Craft, Heritage & Me’ program for under-served youth.